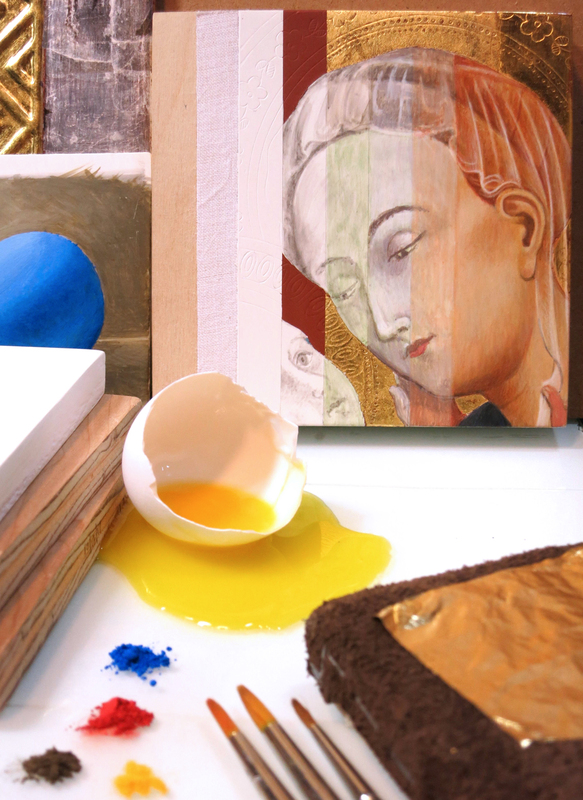 Explore the foundation medium of the Renaissance, Egg Tempera! Employed by master artists such as Michelangelo, Botticelli, and Raphael and currently being used by contemporary artists such as Robin-Lee Hall, Koo Schadler, Fred Wessel, among many others. Egg Tempera is a pure and simplistic medium that lends itself well for learning the basic painting process that was used throughout the Renaissance: underdrawing, value, and glazing with color. In this 3-day workshop you will learn how to make your own gesso, make your own paint, work with a limited palette, mix values, and learn about pigments and brushes, all while finishing your own 5” x 5” (or bigger) panel painting with egg tempera and gold leaf. Repeat students will be encouraged to explore new projects and methods.